I had my first trip to Australia for the Walter and Eliza Hall Institute. And just finished up with ChinaBio! Next is Korea and then we will both be at BIO in Boston. 4. Trevor: BIO 2018 - What is out there? 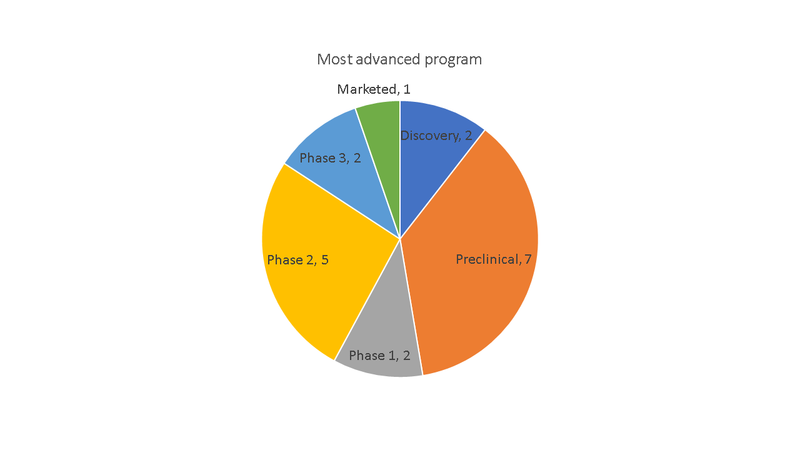 I had the fun of moderating a panel on bispecifics with Sharevault some time ago and in editing the upcoming whitepaper, thought about seeing what the top targets are for early clinical stage bispecifics. CD3 is the most common target, serrving as a T cell engager. Tumor antigens such as CEA and classic signaling targets like her2 show up. For IO, there is LAG3. 1 vascular target, ang2 makes the list. 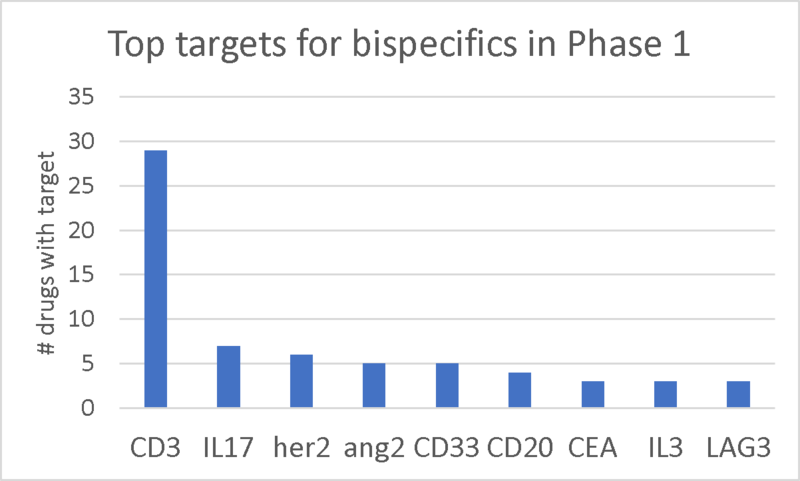 Two interleukins make up the rest of the top list of targets for Phase 1 bispecifics. I found 32 venture investments by Chinese firms in 2018 so far in GlobalData. 12 of these were in Chines companies,17 in US companies with a few in UK and Singapore companies. 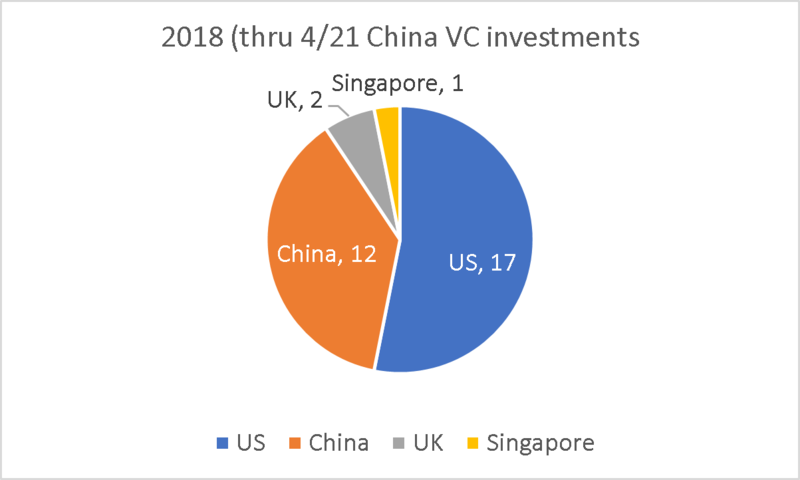 Preclinical and phase 2 were the most common points for China VC investments in this set of 2018 investments. 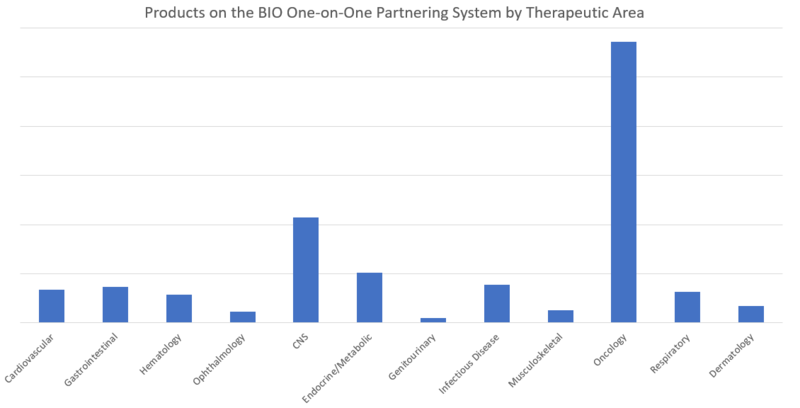 Oncology dominates with 18 of the companies having some activity in oncology. Immunology is 2nd with 7 of the companies. 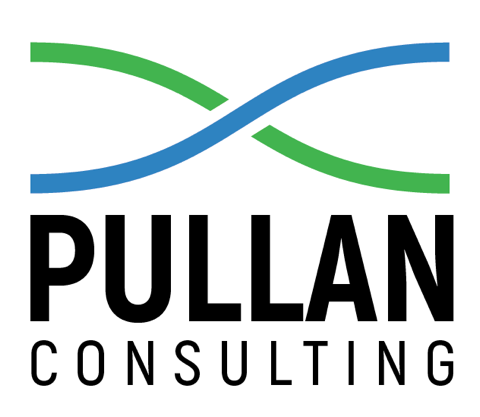 Beyond that are CV, CNS, infection, metabolic, musculoskeletal disorders, and respiratory, all with 3 companies. (Companies do show more than 1 indication. Trevor: BIO 2018 in Boston - What is out there? 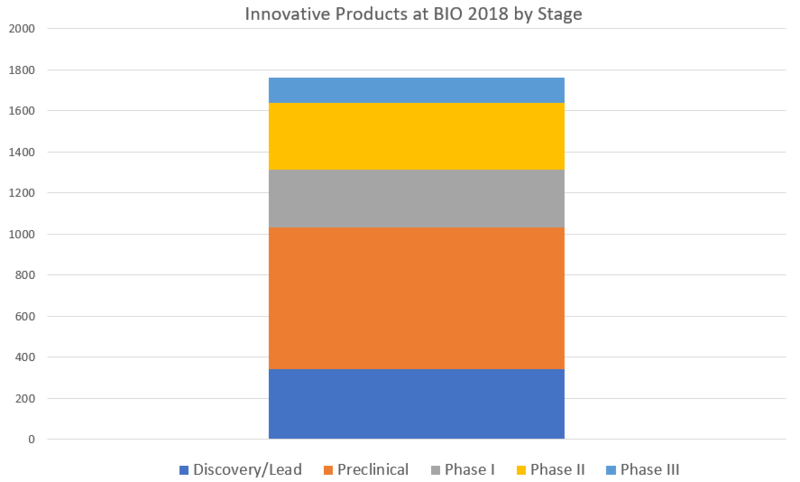 As of April 24th, there are 1,763 biotech/pharma innovative products somewhere between Lead Discovery/Optimization and Phase III in the BIO One-on-One Partnering system. The distribution by stage is essentially the same as the distribution of products by stage in GlobalData. It is about 8% of all the drugs in GlobalData at the same stages. 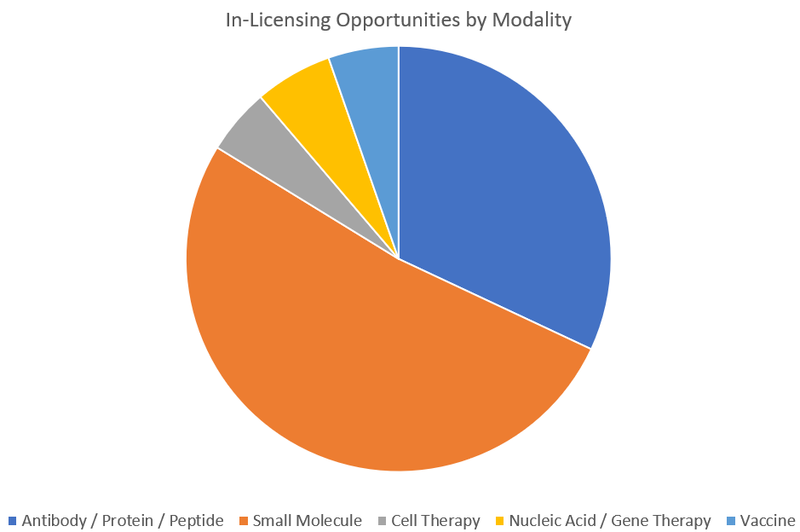 Small molecules are the most highly represented modality with over half of all opportunities.In GlobalData, small molecules are 59% of all pipeline drugs. Antibodies/Proteins place 2nd with about a third. The rest is split about evenly between Cell Therapies, Nucleic Acid/Gene Therapies and Vaccines. And a closer look by therapeutic area shows no surprises… oncology leads the way by a large margin and is followed by the usual suspect, CNS. In GlobalData, oncology represents 33% of pipeline drugs.